Sagittarius influences aspects related to career, path in life, ambition, prestige, image in the community and opportunities for success. Jupiter opposite Neptune symbolizes new beginnings, originality and a degree of selfness. When you are together, you will draw apart, so that you will meet again, just like an arrow that is aimed at a fixed point. Generally, these two signs are not considered compatible, but if you are determined, this pair will be successful. For Pisces, Sagittarius symbolizes the fire that you cannot approach, and vice versa, Pisces represents home, house, and its safety. Of course there are conflicts. The solution focuses on a single dilemma: who is leading and who is being lead. Alongside Sagittarius, you will reconsider your position in society, you want independence, you will be more direct than usual. There will also be disputes, but there is the possibility of progress. 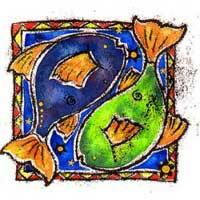 Pisces, this relationship is more favorable if you maintain it at a professional level without a personal involvement, because conflicts are sure to arise. If both of you are mature enough, professional success can be combined with the emotional side of things, but chances are it will fail. 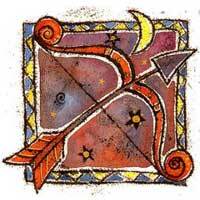 Sagittarius is good for native Pisces when it comes to initiating a project for an original approach, for creative meetings; for emotional fulfillment, this relationship is often disappointing.